Setting goals looks very different for each one of us. 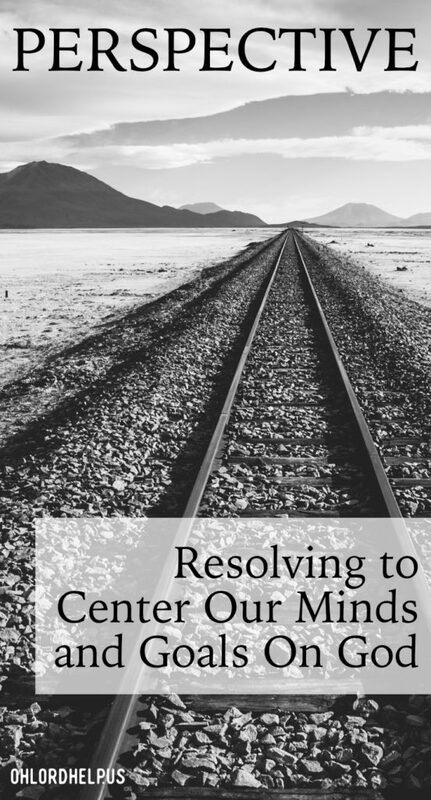 Igniting ferocity to seek God and centering our minds on Him, can change our perspective on setting goals. Everyone is saying it. I loathe this saying. This probably comes from a place of inability to set goals. I often feel like “goals” place me in a box. I understand the importance of setting goals and seeing them through, but I also understand that life is life. Goals don’t always work out quite like we think they should, so why bother? I am sure your social media is buzzing with fad diets and burst workouts, pushing you to succeed in losing some fluffiness you gained over the holidays. Ads on day planners, bullet journals, meditation routines; OH MY! You can’t escape the optimistic posts supplied by all your friends’ new found love for being life coaches. Please, do not get me wrong. I completely understand (and practice) the importance of planning. I see how fun it can be to check things off a list and watch a scale drop numbers. However, the over all feeling inside is failure and guilt. This resolution thing was a “following the masses” decision. For social’s sake, we’ve gone and done it… we’ve made a beginning of the year promise to change, like we’ve done year in and year out. Okay, okay. I might just be speaking for myself. I should probably just speak for myself. What’s the percentage of pessimists in the world? I’ll speak for us. But seriously, I can’t be the only one that feels this way. I want to know what makes us roll our eyes. Not only that, why is it so difficult to succeed? It has to be that our hearts aren’t in it, right? Maybe we just lack the focus and optimism? A friend and I were chatting about goal setting and how it’s extremely important in her life. My perspective is different and I wondered how I could gain her enthusiasm for setting my eyes to the future. She offered up some advice… change the word “goal” to “wish” or “dream”. The free spirit side of me rejoiced. Seriously, much rejoicing. A new line of thinking. That has to be the answer. It is helping, but over all I still feel leery of setting “wishes”. Maybe instead of a pessimist, I’m a realist. Realistically, I understand that life has a mind of it’s own. I know that the year will, without a doubt, bring a hurdle or obstacle. Thus, catching my dreams ablaze. Okay, I’m a pessimist. I often worry that my dreams are not what the Lord has called for my life. I worry that I’m not seeking Him enough to even know that I’m heading toward the correct wish. So, here I go, thinking ahead on something that hasn’t happened and may never happened. 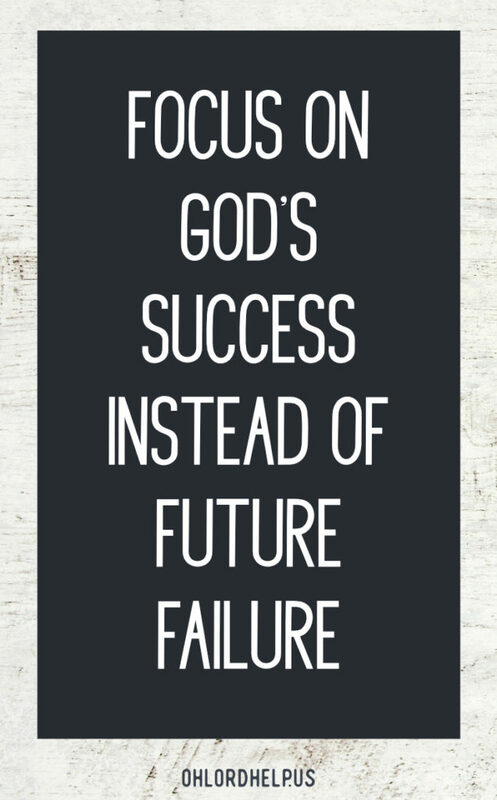 I focus on my future failure instead of God’s success. This comes from a place of past failure. I’ve had complete and utter failures in my life. They all stemmed from wishes that weren’t meant for me yet. I ran after them, centered my thoughts around them. Centered my life around them. I fell flat on my face. I lacked a heart to follow God’s desires for my life. Lacked trust in His plan. “For I know the plans I have for you,” declares the Lord, “plans to prosper you and not to harm you, plans to give you hope and a future. Then you will call on me and come and pray to me, and I will listen to you. 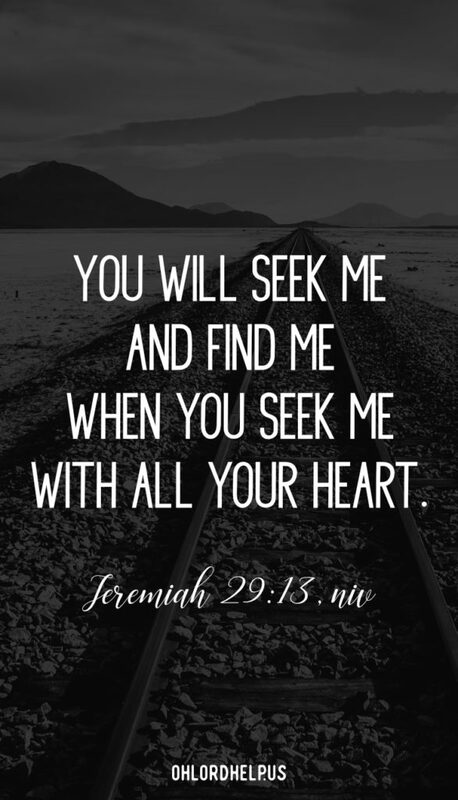 You will seek me and find me, when you seek me with all your heart. Yes. That is the usual scripture that goes along with this subject matter…but nothing about this scripture is cliche to me. In fact, the later part of scripture is often left out. God of the entire universe (omnisciencent, omnipotent, omnipresent) listens to us. He is the fabric of everything we know and don’t know. The vastness of this existence, is held in God’s mighty hands. Yet, He bends down to listen to our hearts. “…Am I not a God near at hand” God’s Decree. “and not a God far off? Can anyone hide out in a corner where I can’t see him?” God’s Decree. “Am I not present everywhere, whether seen or unseen?” God’s Decree. Pause from reading and really let that sink in. When we seek our mighty God with ferocity, our ways align with His. His hopes are our hopes. When we center our whole being on God, we can’t get enough of learning Him; His commands, His character, His wisdom. Suddenly, our “goals” fade away and there is only God. … teach me your ways [God] so I may know you and continue to find favor with you. My New Year’s resolution is to seek after God. Wholeheartedly, unconditionally, and passionately learning His heart! Are you ready to seek God’s truth? 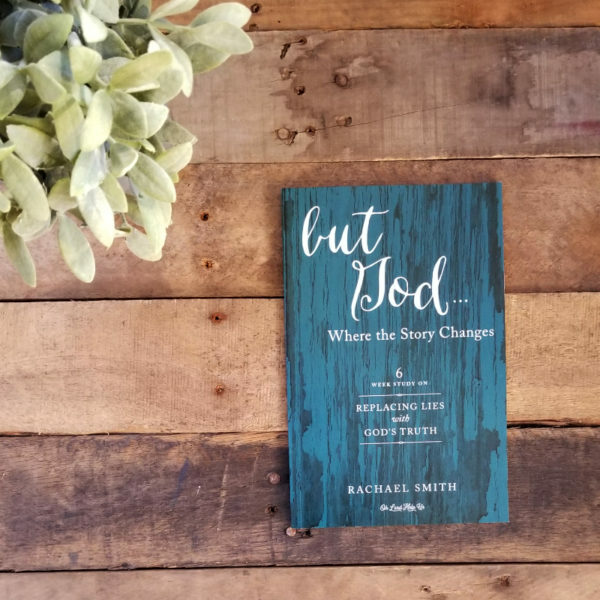 but God… Where the Story Changes, a six-week study on replacing lies with God’s truth. This study can be done on your own, with a friend, or with a group. I have attained the titles of wife, mother, daughter, friend. I chase three handsome boys around (one of which is my husband). I get through the day on coffee and my sweet friend, Jesus. I have an affinity for fantastical stories and science fiction. I love creating (in any medium) and imagining. I am constantly striving to overcome insecurity and negativity in order to be the woman, wife, and mother my Savior destined me to be. Yes – if we do see the other part of the verse – “search for him with all your heart” and we often don’t read further. With goals, I always say aims – since I have learned with God’s wisdom that we don’t know what a new day brings forth. I am right there with you girl! I often set myself up for failure and hate setting goals because I worry about whether or not I can actually meet them. And then I stress about them to the point that I don’t meet them because I procrastinate by stressing. It’s a vicious cycle! But God sounds like a great study! I’m going to have to check it out. Those are two of my favorite words. I feel you, Heather! It IS a vicious cycle! That worry train is a wreck waiting to happen (I’ve wrecked a few times). I hope you DO check out the study! It’s quick and to the point. A great way to start out the year!! <3 Be blessed, Sister! I just LOVE this line “When we center our whole being on God, we can’t get enough of learning Him; His commands, His character, His wisdom. ” This is so true! My New Year’s resolution is growth. And the top of the list is growth in my relationship with God! I’m so glad that touched you, Melissa! It was one of my favorite points made in this post! I truly believe and know it to be true! I think “growth” is such a great focus for the New Year. I pray you are successful in this area! I pray God gives many opportunities to prove His faithfulness and goodness in your life. I pray He gives opportunities to stretch you toward your goal! <3 <3 Be blessed, Sister! I think a lot of people invent goals that are not what God wants them to be doing, and then they waste their lives. Instead, we should align ourselves with what God wants us to be doing. He will guide us and open doors for us if we will slow down and be in His presence. I love this! I have become pessimistic toward goal-setting or dreaming over my lifetime, but since I’ve grown closer to Christ over the past year, He has set me straight. He wants me to dream, to set goals, and to envision successes beyond my wildest imaginings! He wants me to not limit myself to pessimism and a discouraged outlook because He wants us to actively participate in our futures. Even if we aren’t capable, for whatever reason, He can make us capable through His abilities. So keep dreaming and telling God those dreams because we can do all things through Christ! Wow. 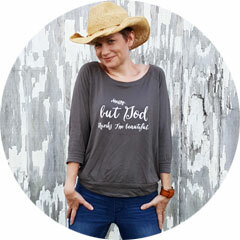 Such truth —>>> “When we seek our mighty God with ferocity, our ways align with His. His hopes are our hopes. ” Sometimes, it does feel that our feelings of failure get mixed in with our hopes and wishes to be better. But the truth is we can’t “be better” or “do better” apart from Him. My goals for this year weren’t mighty grand plans … they are just babysteps in something that I *think* God is calling me to do. I do love setting goals but you are absolutely right to say that Life has it’s own plans. Excellent post! Thank you, Sasha! I love the passage you pointed out! It’s, probably, my favorite part! It really hit home while I was writing it; so much so, that I began to cry. You are right, “we” can’t be or do better, it’s through Him that we are greater. I love that you are setting “babysteps”. Achievable, easy goals can give us great confidence when we succeed, which will push us towards greater ones! <3 <3 Be encouraged, Sister! I totally get this! I’m not much of a goal setter because many goals of mine have failed in the past! I love how you used Jeremiah 29:11…if I seek God, I know what I’m doing is part of His plans! I didn’t ever even use the word goal until I married my husband. I am too type B I suppose. However, I am on board with your resolution because that happens to be my life plan! Yay, Alice! I’m glad we are in this together. It’s also my life plan and the desire of my heart! I, too, married a goal setter (opposites attract, I suppose). It was a struggle to adjust to each other, but we have slowly started to understand our differences are our strengths. Our common “goal” is seeking Him! <3 Stay encouraged! I am with you! I join you in desiring to chase after that things God has before me, not looking to make goal chart to measure my success or failure. So often as our days, weeks, and months play out, God shifts our focus, our dreams, and our scheduling. Being securely rooted in Him will keep us from feeling tossed around by the shifting. Thanks for sharing! Amen, Sarah!! You are so right!! Keeping our existence in His hands, will save us some heartache in waves of life. I’m glad to have a fellow Sister, in this focus! <3 Be blessed and encouraged!! Thanks so much for this perspective! I actually love setting goals and planning, but with the mindset of “holding my plans with open hands.” I think problems come, though, when we don’t saturate ourselves in His Word or prayer first. Or when we make those goals our God. “Yes. That is the usual scripture that goes along with this subject matter…but nothing about this scripture is cliche to me.” Agree! I use this a lot and people tend to be, “yeah, yeah”, but it’s so true. My resolution is not to make resolutions but to be guided by the Spirit each step of the new year, It’s His plans, not mine. Thank you. We often get our definition of success confused we see success as the result of our actions ending how we want them to end rather than what God’s plan may be for others and ourselves. That’s so true, Stephanie! We just discussed this on our weekly video; this exact point. Our perspective of success doesn’t always look the same as God’s success. This is so very important to remember! Seeking God with a whole-hearted focus is what I want as well this year! All of this is truth and I am with you! 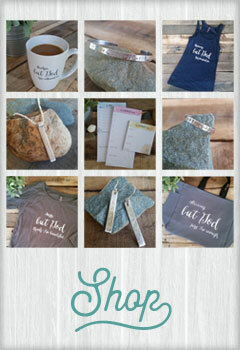 I love the use of scripture in your posts! Thank you, Crystal! It’s so important to back up our thoughts with scripture! <3 I'm glad we have so many willing to set their eyes on God this year! Wow! Really needed this reminder to fix my eyes on Christ. I definitely need this reality check too, Bailey. When I align myself with God, all things work for His glory. Wow! This really hit home today! I am always worrying that my dreams and God’s plan for me are not aligned. I feel so lost some times in wondering if I’m heading in the right direction. I am not fully focused where I should be. Thank you so much for this post. I absolutely loved it! Thank you, Sheree! You hit the nail on the head… your focus was off. Mine was too. That’s why I chose to make it right. My focus should always be on God, all else falls in line! Stay encouraged Sister! Yes, that verse in Jeremiah needs to be considered in its entirety and in context ( as does all Scripture). Like so many other bloggers (as you mentioned), I also blogged about goals and how achieving them requires changes in our mindsets, attitudes, and behaviors. Thanks for sharing! Thank you so much for reading and for validating my use of this scripture. Seeking God with our whole hearts should be our behavior and mindset. It’s the most important “goal” we can create for ourselves! I feel the same way as you about a lot of this! I love that you ended this in a way that really helps shift our perspective from ourselves to what God wants for us.